The Prajna-paramita-rama-guna-samcaya represent a summary of the Prajna—parmita in verse, its gatha portion, similar to the gathas of the Lankavatara and those of the Dasabhumaka-sutra. The language of this text is the Gatha dialect or as mixed Sanskrit. The Tibetan translation of the Samcaya as a separate text has been made by the famous lo-tsa-va Pal-tseg. The version of the Samcaya as the 84th chapter of the Astadasasahasrika is the work of Ye-Sei—De the chief translator of the Sutras in the Kangyur. This edition of the Samcaya has been prepared on the foundation of a Chinese xylograph which has been discovered by Prof. M. Tubiansky in Mongolia, in the monastery of Manjusri (Mandzusriin Kiit). The present fasciculus of the Bibliotheca Buddhica contains the edition of the original text of the Prajna-paramita-ratna-guna-samcaya-gatha or simply Samcaya and of its Tibetan translation. It has been prepared on the foundation of a Chinese xylograph which has been discovered by Prof. M. Tubiansky in Mongolia, in the monastery of Manjusri (Mandzusriin kiit) among other valuable texts the most important of which is Nagarjuna’s Catuhstava in the original, to be edited by Prof. Tubiansky himself. The text itself is printed in the lancu characters, two lines on each folium, folium and verso with Tibetan transliteration and translation. It would be very interesting to compare our xylograph with the Cambridge MS of the Samcaya indicated in Prof. C. Bendall’s catalogue. The Prajna-paramita-ratna-guna-samcaya represents a summary of the Prajna-paramita in verse, its gatha portion, similar to the gathas of the Lankavatara and those of the Dasubhumaka-sutra, edited by Drs. J. Rahder and S. Susa. Besides its appearing as a separate text, it is included in the Prajna—Paramita of 18000 slokas and forms its 24-th chapter. The whole of it is written in an irregular vasantatilaka metre for which the Tibetan has verses of 11 syllables. At the end of the whole text we have two verses in the surdulaavikridita metre which belong to the celebrated acarya Haribhadra by whom the text of the Samcaya has been revised and who most probably has arranged the text in accordance with the chapters of the Astasuhasrika-prajna-paramita in which form it appears in our edition. The Tibetan translation of the Samcaya as a separate text has been made by the famous lo-tsa-va Pal-tseg The version of the Samcaya as the 84-th chapter of the Astadasasahasrika is the work of Ye-Sei-De the chief translator of the Sutras in the Kangyur. 1. The Samcaya-gatha-panjika Subodhini nama of Tangyur MDO, VIII, 1-93. 2. The Samcaya-gatha-panjika of Haribhadra’s pupil Buddha srijnana Tg. MDO, VIII, 135-223. 3. The Prajna-paramita-kosa-tala ascribed to Dharmasri Tg. MDO, XI, 331-340). The last of these works is not held in esteem by the Tibetan scholars. Its authorship is dubious and it is characterized by Tson-kha-pa as a feeble work of some unknown Tibetau author. As regards the Subodhini, Haribhadra’s authorship is denied by the Pandit Sthirapala or Trilaksa and the Great Translator Nog Lo-dan-sei-rab. But, as says Tson-kha-pa, we shall nevertheless be right if we take it as the work of Haribhadra, since the Pandit Abhayakaragupta in his Marmakaumudi speaks of it as such. 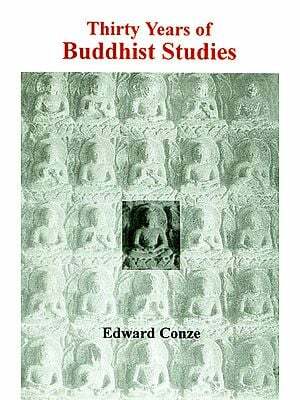 At the beginning of the Subodhini we have the interesting statement that the Samcaya had been first delivered in the dialect of Central India or, as we have it in Bu—ston’s History of Buddhism, in the dialect of Magadha. We could, perhaps, take this as an indication, that there must have existed somewhere a Prakritic Prajna-paramita in verse. In the present edition we have shown throughout the concordance between the Samcaya and the Astasahasrika prajna-paramita.